I collected each of these containers individually, although back in the day they could be purchased in sets of four. The containers came in three colours: Avocado, Yellow and White and then in the early 70s a fantastic fake woodgrain was introduced. The Stack ‘N’ See kitchen canisters were called Store ‘N’ See in America: why the name change here is anybody’s guess. In this collection of eleven canisters there are three 6oz, five 16oz, two 32oz and the large one is 48oz. 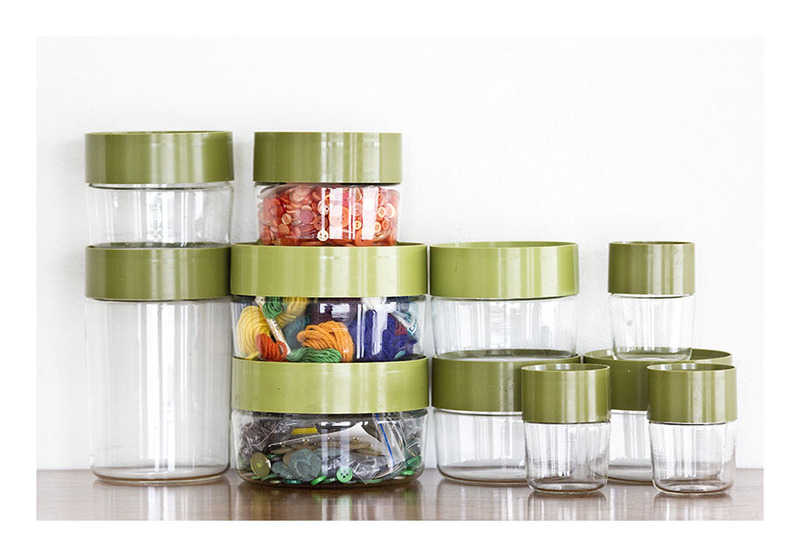 Transparent canisters are fantastic in the kitchen; you can see exactly what you’re storing, and each of the Pyrex canisters has a silicon sealing ring for air-tightness. Or – do as I do- store your vintage sewing notions in them. 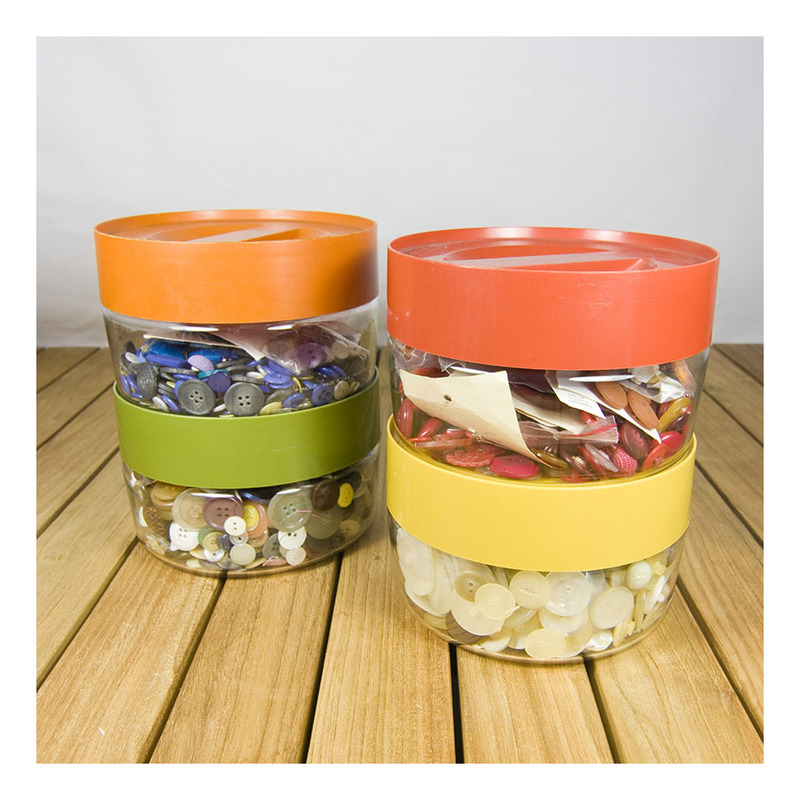 The stackability is a great design; the canisters take up minimal space and those funky 60s lids lend a great 60s vibe to any space.